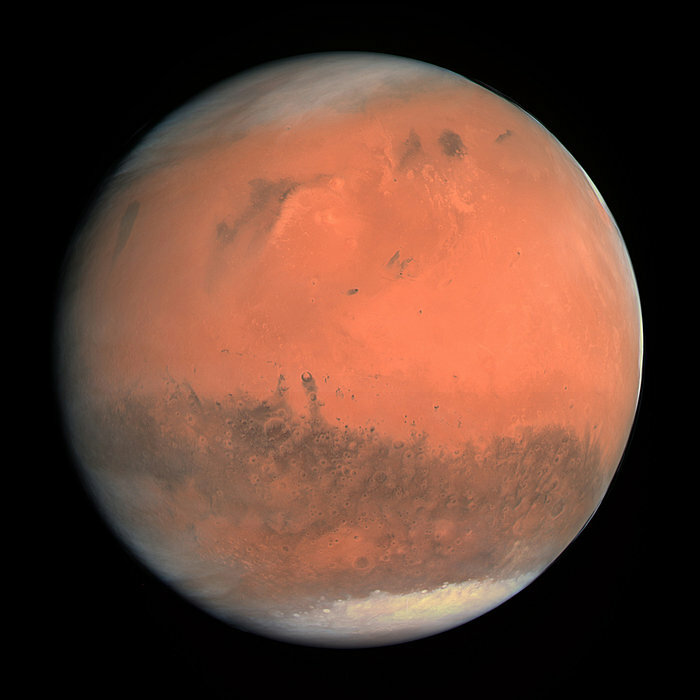 Question #5 – Why is Mars called the Red Planet? Answer: The soil and rocks on the surface of Mars contain iron. Over time, winds and erosion on Mars have caused oxygen to combine with the iron creating iron oxide or, as it is commonly called, rust.